Fall River/New Bedford Housing Partnership provides home buyer mortgage assistance, first time buyer education, homes for sale. First Time Homebuyer Down Payment & Closing Cost Assistance Program: Assistance of up to $10,000 is available. The property must be located in Fall River. Applicants must meet income eligibility requirements and be credit worthy. 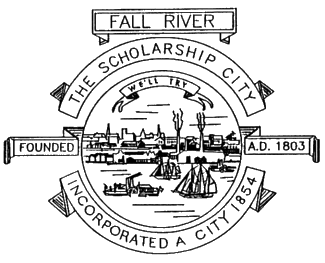 Investor Rehabilitation Program:Provides assistance to investors wishing to rehabilitate and/or de-lead properties that they own in Fall River. The primary goal of the program is to promote safe, lead-free affordable housing for income eligible residents. Homeowner Rehabilitation Program:Assistance is available to homeowners wishing to rehabilitate and/or de-lead their primary residence. Applicants must meet income eligibility and other program requirements. “Neighborhoods First” First Time Homebuyer Program: A HOME funded program that offers 5% of the home’s purchase price (up to a maximum of $10,000.00) for Down Payment and Closing Cost assistance and up to $40,000.00 in Rehabilitation assistance to income eligible* First Time Homebuyers purchasing a home. Financial Assistance Program: This low interest loan program is available to help homeowners* perform repairs and/or de-lead their homes. A grant of up to $2,500.00 is also available. Housing Accessibility Program: A $7,500.00 grant program to help make homes accessible for applicants with physical disabilities. Lead Paint Program: Grant and loan programs available to homeowners and investor-owners to remove lead paint from homes located in New Bedford. *All applicants must meet HUD income requirements and underwriting criteria.